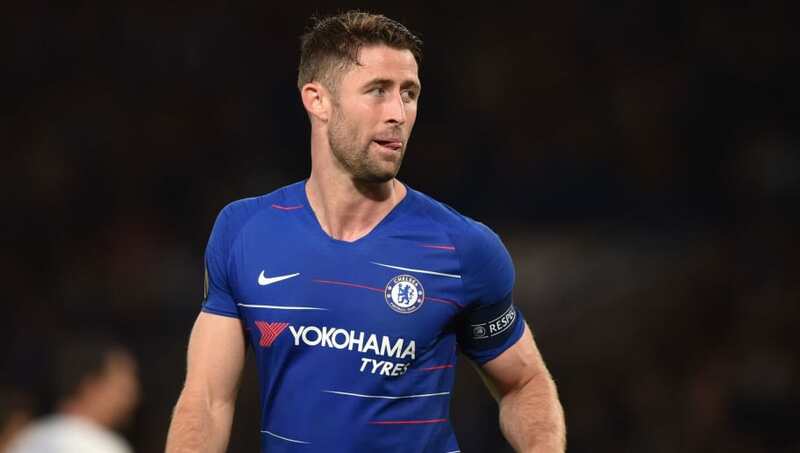 ​Chelsea defender and club captain Gary Cahill has been tipped to change his mind over seeking a move away from Stamford Bridge in the January transfer window, instead preferring to stick around and help as the club mounts a Premier League title challenge. David Luiz and Antonio Rudiger have been Chelsea's preferred defensive partnership this season, leading Cahill to declare last month that he would look to leave as long as he isn't being picked. "I have to take charge of my own future. For me to do this [not play] all season is going to be very difficult," the 32-year-old said at the time. Now, however, The Sun reports that Cahill is ready to 'consider a U-turn' in order to play a part in a developing title race between Chelsea, Manchester City and Liverpool. The former Aston Villa and Bolton centre-back has so far only played 21 minutes of Premier League football this season, but he has started games in the Carabao Cup and Europa League, showing that he does still have a role in the squad. With Chelsea facing competitions on up to four fronts after Christmas it could be that there is even more opportunity for Cahill to play as manager Maurizio Sarri rests and rotates players to keep them as fresh as possible to challenge for trophies. An injury to either Luiz or Rudiger would also catapult Cahill straight back into contention. Since arriving at Stamford Bridge in January 2012, Cahill has played close to 300 games for Chelsea, winning the Champions League in his first few months at the club and later adding Europa League, FA Cup and League Cup honours, as well as two Premier League titles.